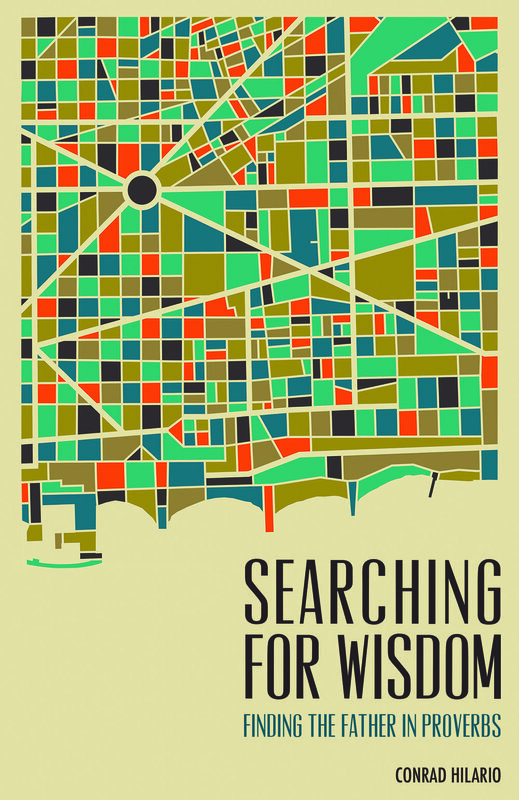 You can purchase Searching for Wisdom here. Third, it’s impossible to fulfill the “one another” passages without close friendships. The “one another” passages refer to biblical instructions such as “encourage one another,” “confess to one another” and “bear one another’s burdens.” The Bible contains as many as 60 one another passages. They depict a vibrant spiritual community, which remains out of reach for those who won’t commit to deepening their friendships. After all, how can we bear others’ burdens if we barely know them? Would we confess our sins to someone we don’t trust? This kind of depth will require more than two hours a week on Sunday morning. It will call for us to carve out significant time from our schedule. Sacrifice and effort alone won’t guarantee good friendships. As modern Americans, we face several hurdles to building deep friendships. American individualism stands in the way of us enjoying deep friendships. It tells us to rely on ourselves and to refuse help. It pushes us to pursue success and self-expansion at all costs. It says that people don’t have the right to dive into our personal matters, insisting that they should mind their own business. As a result, most Americans feel a gnawing sense of loneliness. And yet, we yearn for the very things we resist. We long to open up with the people we push away. We look longingly upon friendships we left behind in order to pursue money or a career. And we suffer in silence because our pride blocks us from asking for help. If we seek to build good friendships, we must reject our world’s values and embrace God’s values. We must spurn individualism and accept God’s design for us. Life transitions act as a furnace, either refining or consuming our friendships. Recent studies show that college-aged people spend the most time with friends, logging 10-25 hours a week with them. A college schedule gives you the flexibility to hang out with friends, from all-nighters at the library to crashing house parties on campus. But when career demands, marriage and small children enter your life, it’s no longer possible to “find time” for your friends. With a thousand things clamoring for your attention, you “make time” for what’s important. Life transitions also test how much we value friendship. For example, young adults enjoy denser friendship networks. When you’re young, most of your friends live in town or go to your school. But as people move away for college or work, their network fans out. In a recent study, Andrew Ledbetter, a professor of communications at TCU conducted a study following pairs of best friends for 19 years. His research found that participants moved an average of 5.8 times after college. By year 19, very few pairs lived within 50 miles of each other with an average distance of 895 miles between friends. Our friendship will undergo testing at certain stages of life. And if we don’t recommit ourselves to our friends, we’ll end up drifting from them. In the last two decades, information technology has changed the way we interact with our friends. Internet access allows us to stay connected with friends living thousands of miles away. Instead of writing a letter to our friend Elaina –who lives in Paraguay– we can video chat her. Hand written letters provide a fraction of the interaction you can obtain from video chat. It may take two weeks to see how Elaina responds to our letter, whereas video chat enables us to see her facial expressions and hear her laugh in real time. Fresh studies suggest mobile phones, social media and networked video games play a vital role in how teens interact. According to Pew Research, the majority of teens text message their friends every day. When teens say, “I talked to so-and-so the other day,” there’s no way to tell if they’re describing a text conversation or if they saw that person at school. For boys, video games play a crucial role in maintaining friendships. The majority (78%) felt like online gaming strengthened existing relationships. But does increased interaction lead to authentic relating? Most teens claim they felt more “connected” through social media (83%). Yet, the majority (76%) said that people seem “less real” on social media and 40% of teens report feeling pressure to curate flattering or popular content. When I ask people “What’s wrong with having a conversation?” People say, “It takes place in real time and you can’t control what you’re going to say.” So that’s the bottom line. Texting, email, posting, all of these things let us present the self we want to be. We get to edit, and that means we get to delete, and that means we get to retouch, the face, the voice, the flesh, the body –not too little, not too much, just right. Human relationships are rich and they’re messy and they’re demanding. And we clean them up with technology. And when we do, one of the things that can happen is that we sacrifice conversation for mere connection. Some research even suggests our devices impair our ability to relate. In 2014, psychologist Yalda Uhls ran a field experiment to see if face-to-face relating improved people’s ability to identify emotions. She selected 50 children to spend a few days at an outdoor camp. The catch: they had to leave their phones and tablets at home. After five days, Uhls asked campers to identify an emotional state from photographs and videos. She conducted the same experiment on a control group. The results: campers identified emotions significantly better than the control group. What happened? These students spent time relating to one another without the distraction of a device. Deep relating requires us to pay close attention and to put ourselves in someone else’s place. Turns out, it’s easier to do that without a device in your hand. We’re getting used to a new way of being alone together. People want to be with each other, but also elsewhere –connected to all the different places they want to be. People want to customize their lives. They want to go in and out of all the places they are because the thing that matters most to them is control over where they put their attention. But our ability to be alone –without notifications and alerts– aids reflection. Reflection furnishes us with insight, which provides substance to our conversations. We can’t build satisfying friendships simply by exchanging soundbites and facts. As mentioned earlier, digital communication works better for maintaining certain types of relationships. It helps us stay connected with loved ones living in different cities or countries. It keeps us updated about old friends with whom we’ve lost contact. But digital communication can only supply a certain amount of closeness. To attain further depth, you need more than an online presence. Close friendships require face-to-face interactions. Information technology strengthens existing close friendships, but it can never serve as a substitute for “real” relating. Nearly two dozen proverbs describe how we should interact with our “neighbor.” Like any word, neighbor contains a wide range of meaning. In Hebrew, it can refer to either a person who lives nearby or a close friend. In most cases, Proverbs uses it to describe the way friends should relate to one another. The book of Proverbs lists qualities found in a good friend. It both urges us to search for these qualities in a friend and to acquire these qualities as a friend. Let’s take a moment to look through this list. Proverbs tells us that the world contains many fair-weather friends. They hobnob with the rich, hoping it will open up new opportunities. But when their friend’s wealth dries up, they vanish like dew on a summer morning (19:4, 6, 7). Yet, some friends “stick closer” than a brother or sister (18:24). They remain loyal during life’s highs and lows (17:17). Before I met Christ, my friendships never lasted. They always followed the same pattern. I would befriend someone, we would hang out every day and then something would happen. One of us would get a girlfriend and disappear or we’d get into an argument that would fracture our friendship. Or we would simply drift apart. It was as if someone slapped a one-year expiration date on all of my friendships. However, everything changed when I received Christ. It transformed both my life and my relationships. Unlike past friendships, I was able to overcome conflict with my Christian friends. Christ gave me both the basis for forgiveness and the motivation to reconcile (Colossians 3:13; Matthew 5:23-24). Christ also laid a new foundation for my friendships. They no longer stand on common interests or experiences. God has fastened my friendships to something secure. Scripture teaches that the moment we receive Christ, God unites us with him. By extension, God unites us with other believers (Ephesians 4:3). Thus, our unity rests on something stable, unmovable. Faithful friends speak truth to one another even when it hurts. The wise man tells us, “Faithful are the wounds of a friend, but deceitful are the kisses of an enemy” (Proverbs 27:6, NASB). As followers of Christ, we don’t look inward to determine right from wrong. We turn to an external source for guidance, God’s written word. Scripture reveals God’s moral will to us. It bends and shapes our values to resemble God’s values. Thus, Scripture gives us the basis to speak truth in love to our friends (Ephesians 4:15). But there’s more to speaking truth than pointing out problems. Speaking honestly includes encouraging our friends. At times, a friend will sink into despair because God uncovered a sin problem in their lives. Or they feel grief-stricken because they’re facing suffering. In each case, God calls on us to urge our friends forward, clinging to the truth. Friends should lean on each other for good advice. Proverbs 27:9 says, “The heartfelt counsel of a friend is as sweet as perfume” (NLT). We stumble across many confusing situations as we try to walk with God. He promises to give us wisdom if we ask him for it. And he will likely answer us by sending a trusted friend to give us advice. I can’t count the number of times I’ve been confused and decided to pursue a direction, only to have God redirect me through a friend’s wise counsel. In other cases, God uses a healthy clash of personalities to hone our perspective. “As iron sharpens iron, so a friend sharpens a friend” (Proverbs 27:17, NLT). At times, I find myself in sharp disagreement with a close friend over a confusing ministry issue. But after hammering it out with him, I often emerge with a better grasp of the issue or a refined plan. Others have developed anti-social habits, which irritate their friends. “A loud and cheerful greeting early in the morning will be taken as a curse!” (27:14, NLT). During college, I lived with some unusual people. For instance, one of my roommates would grocery shop and stock up on two months’ worth of frozen pizzas. He would come home and stuff both of our freezers full. When you would peek into the freezer, a flood of pizzas would spill out of it. We would have to wait for him to eat some of his pizzas before we could put anything into the freezer. Another roommate in college would take forever to use the bathroom. We would hear water running as we pounded on the door to get him to hurry. We pestered him for months to tell us what he was doing in there. Finally, he broke down. He couldn’t use the bathroom unless he took off every article of clothing and turned on the shower! Still others display a lack of awareness that seems downright cruel. “Singing cheerful songs to a person with a heavy heart is like taking someone’s coat in cold weather or pouring vinegar in a wound” (Proverbs 25:20, NLT). By comparison, thoughtful friends can read a situation and provide a fitting response. According to Proverbs 18:24, “A man of many companions may come to ruin, but there is a friend who sticks closer than a brother.” It’s possible to surround yourself with people and still feel alone. Just as a thriving plant requires deep roots, so spiritual friendships require depth. A few years ago, I visited my hometown of Chicago. While in town, I caught up with an old friend from high school named Vic. Vic and I hung out almost every day during high school. We would skip class and roam around our neighborhood, getting into trouble. When I first met Vic, he was going through some hard times. His mom lost her battle with cancer. Yet, he never mentioned to me that his mom passed. I heard about it from our other friends. For some reason we never talked about it. Thankfully, God has taught me how to cultivate deep friendships. Like a father prodding a fearful son, God spurs me to loosen my tongue and open up with my friends. He showed me that faithful friends don’t just spend time with each other; they talk to each other. Proverbs 12:26 warns, “The righteous choose their friends carefully, but the way of the wicked leads them astray” (NET). The fact that God changes us from the inside-out doesn’t excuse us from taking external precautions. We’re more prone to people’s influence than we like to admit. According to Proverbs, we may even co-opt new patterns of sin from our friends. “Do not make friends with a hot-tempered man, do not associate with one easily angered, or you may learn his ways and get yourself ensnared” (Proverbs 22:24-25). This also works in the opposite direction. Spending time with spiritual people stokes our fire for God. Proverbs 13:20 makes this connection: “Walk with the wise and become wise; associate with fools and get in trouble” (NLT). First Samuel gives us one of the best examples of friendship in the Bible, the friendship between David and Jonathan. Their relationship rested upon a solid spiritual foundation. Both David and Jonathan committed their lives to following God. They found each other in this context. By comparison, most American Christians would say you have your “church” friends and then you have your “real” friends. But the Bible doesn’t draw this distinction. David and Jonathan forged their friendship through their relationship with God. Thus, their friendship serves as a blueprint for spiritual friendships. David and Jonathan’s relationship provides us with four essential elements of lasting friendships. Let’s examine each. But their friendship didn’t last because they “clicked” with each other. Sacrificial love served as an epoxy, which held David and Jonathan’s friendship together. Samuel tells us that Jonathan loved David as he loved himself (1 Samuel 18:1). Centuries later, Jesus would exalt this kind of love, “Greater love has no one than this, that he lay down his life for his friends” (John 15:13). Jesus not only taught this kind of love; he displayed it on the cross. Often we look for a friend to love us and to meet our needs. But the Bible tells us we’re approaching friendship from the wrong starting point. We should look to meet others’ needs, as we trust God to meet our needs. David and Jonathan entered their friendship with a solemn pact and they remained committed to each other (1 Samuel 18:3-4). On two separate occasions, they reaffirmed their commitment (1 Samuel 20:23). This resulted in a life-long friendship. In the same way, we must fight to maintain our friendships. As we get older, our lives grow more complicated. Marriage, children and career consume more of our time and attention. And our friendships undergo entropy as we drift toward comfort. Like David and Jonathan, we must reaffirm our commitment to our friendships. Otherwise, we’ll slowly sail toward isolation. For instance, Jonathan was willing to part with his possessions to serve David. Samuel tells us that when David and Jonathan made their solemn pact, “Jonathan sealed the pact by taking off his robe and giving it to David, together with his tunic, sword, bow, and belt” (1 Samuel 18:4, NLT). Jonathan’s gifts prepared David for both court and battle. They also shared their emotions with each other. In 1 Samuel 20, Jonathan arranged a secret meeting with David to warn him about Saul’s murderous plot. As they parted ways, “Both of them were in tears as they embraced each other and said good-bye, especially David” (1 Samuel 20:41, NLT). David and Jonathan didn’t show love in selective ways. They didn’t say, “I don’t need to tell people how much I care about them. They should just know that I care.” David and Jonathan extended themselves in every area for the other’s well-being. At times, they offered each other needed encouragement. For example, Jonathan assured David that his father wouldn’t lay a hand on him. He reminded David that God anointed him the next king of Israel (1 Samuel 23:16-17). At other times, David and Jonathan helped each other see the truth. When Saul’s jealousy turned murderous, David challenged Jonathan to see it for himself (1 Samuel 20). It was painful for Jonathan, but it strengthened their bond. David and Jonathan’s friendship captures the type of love you should see in your spiritual friendships. And it fits with a definition of love I heard as a young Christian. Biblical love describes “a commitment to give of yourself in every area, for the good of another.” David and Jonathan’s friendship embodied all of these elements of love. God will provide us with lasting spiritual friendships as he did David. And the hope of our salvation guarantees we will enjoy them for the rest of eternity. For more than 15 years, my close friends and I drove to North Carolina to spend a week at the beach. Over the years, I’ve built incredible memories there. But by far, my first trip stands out as the most memorable. One evening, my friends and I were on the deck overlooking the ocean with cold beverages. We were laughing and telling stories as the sun set. As we were talking, something unusual happened. I felt surrounded by God’s love as I sat there with my close friends. In that moment, I felt real joy and contentment. It was as if God was giving me a glimpse of eternity. For all those years, I assumed the scenery made our vacation special. Each year was the same. We would arrive at the beach after driving through the night. The front door would swing open. We would drop our bags, rush to the back deck and look at the spectacular view of the ocean. This year, we did something different. We vacationed at a lake house in Tennessee. To my surprise, God gave me another one of these rare experiences. This experience helped crystallize for me what will bring us the most joy in heaven. I feel certain God will create stunning landscapes and scenery for us on the new earth. And I’m excited to see what they will look like. But now, I’m most excited about who will occupy heaven, not what it will contain. What are other ways information technology deters our ability to relate or build deep friendships? What are some ways we can develop more relational awareness and sophistication? What are some symptoms that indicate we have shallow friendships? Lynn Smith-Lovin, “Social Isolation in America: Changes in Core Discussion Networks over Two Decades,” American Sociological Review, vol. 71 (June: 2006), 353–375. Julianne Holt-Lunstad, “Loneliness and Social Isolation as Risk Factors for Mortality: A Meta-Analytic Review” in Perspectives of Psychological Science 2015, Vol. 10 (2) 227-237. Andrew Ledbetter, ‘Forecasting ‘‘friends forever’’: A longitudinal investigation of sustained closeness between best friends,’ Personal Relationships, 14 (2007), 343–350. Ibid. Notice, I didn’t say in person. Teenagers view interacting through networked video games and texting as their primary way of relating to their friends. 59% of teens who play online with other use voice connection when they play. Sherry Turkle, “Connected, but alone?” TED talk, February 2012. Yalda Uhls, “Five days at outdoor education camp without screens improves preteen skills with nonverbal emotion cues” Computers in Human Behavior Volume 39 (October 2014): 387–392. Chafin and Ogilvie, Preacher’s Commentary, 140. I drew this from Dr. Ralph Ankeman’s lecture entitled Love Therapy.